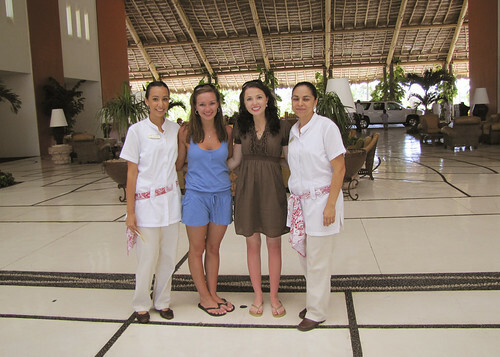 To see our recent hotel review on the beautiful Grand Velas, click here. Hello Flor and thank you for taking time out of your busy schedule to be with us today! 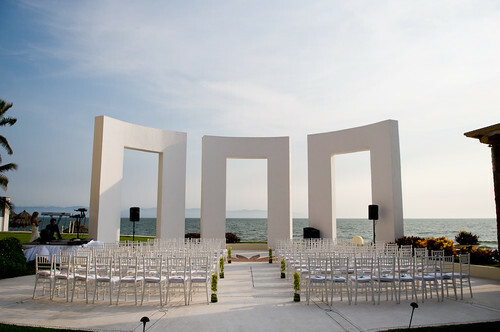 So how long have you been helping plan dream weddings for the Grand Velas? I’ve been working in the hotel industry for almost 10 years, but for Grand Velas just a couple of months and I love it. Being able to perform the bridal ideas and feelings, it can sometimes make me feel like an artist. Each wedding has a special flavor, but I will never forget one by the beach where each table was set up under a white tent surrounded by curtains made with bright seashells, the ocean was so blue that day that even though during the day the set up was so bright and delightful just standing there. How do you feel about wedding favors? Being in a tight economy right now, would you suggest an area to cut costs or downsize? 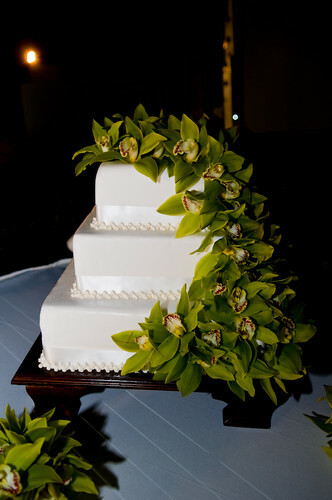 Choosing an All inclusive hotel like ours will help you to reduce your food and beverage budget into the minimum and never cut cost for your bouquet. There will always be an option to make it as you planned. 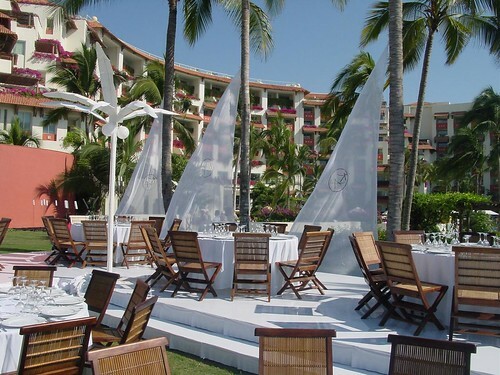 Is there anything new and exciting going on with Grand Velas weddings? If you do not have an specific idea already in your mind , get into Internet wedding pages or blogs and I am sure that you will find many ideas , to combine the styles , colors and shapes that you like share them with you wedding coordinator to make them happen. Again, thank you so much Flor. You’re a pleasure to work with. 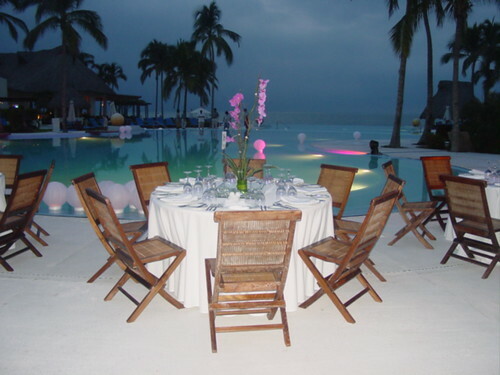 If you would like a charming beachfront wedding at this luxury all-inclusive resort, give us a call to make it happen. Feel free to look over some of the wedding packages they offer HERE.